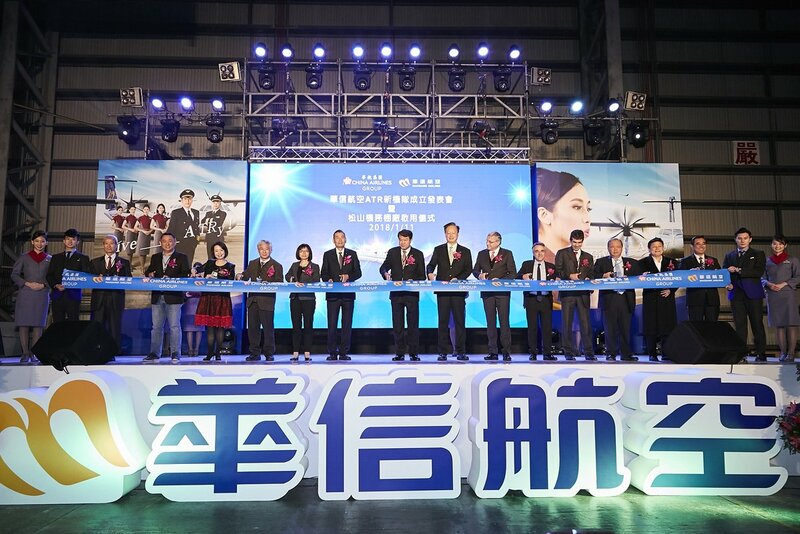 Mandarin Airlines, a member of the China Airlines Group, organised a ceremony in Taiwan to introduce the first two aircraft of its new ATR fleet to more than 300 guests, including representatives of the local government. Our CEO Christian Scherer, along with Taiwanese media and senior officers of the aviation, travel and hotel industries were present at this event hosted by China Airlines Chairman Nuan-hsuan Ho and Mandarin Airlines Chairman Shih-chien Hsieh. This brand new fleet is expected to enter into service before the Chinese New Year to respond to the holidays’ associated traffic surge. The inaugural flight will be between Kaohsiung and Magong. With the most fuel and cost-efficient aircraft on the market, the China Airlines Group will increase its overall carrying capacity on domestic routes, with more seats on more frequent services to help boost customer satisfaction. ATR instructors are already assisting the airline with pilot training and qualification and ATR maintenance specialists are supporting the set up of an on-site maintenance capability, as part of the contract signed with ATR last July. This event also marked the official commissioning of the China Airlines Group’s new maintenance hangar. Once in service, it will facilitate the gradual establishment of such flight-line ATR maintenance capabilities.